Jane Yolen is one of the acknowledged masters of fantasy today. She is the author of more than two hundred books for children and adults. Her young adult novel The Devil's Arithmetic won the Jewish Book Council Award. Her children's book Owl Moon, illustrated by John Schoenherr, was awarded the Caldecott Medal; her fantasy novels Sister Light, Sister Dark and White Jenna were both short-listed for the Nebula; and she's won the Nebula twice for short stories. She has also won the World Fantasy Award, the Christopher Medal twice, and the Golden Kite Award. 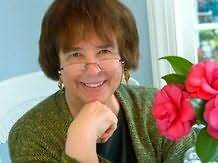 Jane Yolen lives with her husband in western Massachusetts and St. Andrews, Scotland. "Lord Dunsany is the great grandfather of us all." "A large step up ... from Harry Potter." "Elizabeth Kerner has a strong new voice that has the cadences and resonance of an old and wise bard." "If you are a smash-and-grab, blood-on-the-sword fantasy reader, this astonishingly lyrical first novel about a medieval Japanese shapeshifter is not for you. But if you want lush prose, romantic settings, and a poetry-of-the-soul book, run-do not walk-to get this. God, I wish I had written it!" "A bold and sensitively-written novel about a supposed-white child, Sophie Fairchild returned magically to a time of her ancestors who were slavemaster and slaves in the old South. I was mesmerized." "With a clear, distinctive voice, Katharine Kimbriel invents and re-invents magic on America's frontier..."
"In The Oddling Prince, Nancy Springer has written a small, perfect epic, three words I did not think could ever live well together. And yet here it is: romantic, heroic, moving, satisfying - and not an overblown farrago of words. Read it - and believe."